Are you in a relationship that feels like it hit a brick wall out of nowhere? Wondering what happened to the chemistry that was so electric the first few weeks or months after you met? If there are no other warning signs that someone else is awry, you may be dating an emotionally unavailable man. Here are six ways to spot a guy that is simply unable or unready to commit to you. Emotionally unavailable people only see the negative things in you and your relationship. It can be a minor issue, but they will blow it out of proportion and make you feel like the biggest failure- even if it is not your fault. If it seems like your guy has a wall built around him, it is because he is trying to hide from issues instead of dealing with them. 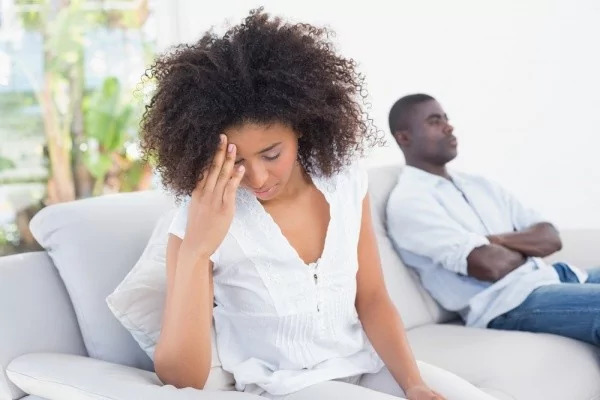 Emotionally unavailable people deflect blame if you try to bring up a relationship issue. Instead of trying to work through it, they will just push it off on you and shut down or blow up. If you are making solo plans most nights of the week while he is out with friends and not inviting you, it may be for a reason. Emotionally unavailable people tend to distance themselves from a relationship to avoid conflict and affection. Do you have a hard time getting a kiss or snuggle-time in? An emotionally unavailable man is horrible at showing affection or getting in touch with his feelings. Do not expect him to spend time connecting with you, it just will not happen. If you feel like you are always pouring out and never being poured into, it is because an emotionally unavailable man is never satisfied so he takes and takes without giving anything in return. No matter what you do, you will feel like it is never enough. Emotionally unavailable people are actually very insecure and so they have a hard time opening up to others. They are extremely vulnerable due to their fear of rejection. If you feel like your boyfriend is never real with you, it is one of the signs you are dating an emotionally unavailable man. Dating someone who is emotionally unavailable can be draining and unfulfilling. Unfortunately, there is not much you can do about it other than getting out of the relationship. My advice: Do not stay in it because you think you can change them or help them, but that is not your responsibility or your battle. Get out now before you waste too much time or energy on someone who truly cannot (or will not) give you affection in return.